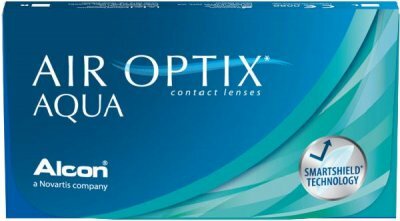 Air Optix Aqua - a breathable contact lens to fit your lifestyle. Air Optix are intended for daily or flexible/extended wear (up to 6 nights while sleeping), as determined by your eye care professional. The lens is 33% water and has a light blue handling tint. Air Optix is a Silicone Hydrogel Contact Lens, it provides up to 5 times more oxygen than traditional hydrogel lenses.